Purpose: Despite the formal political decolonization of much of the world, the colonial legacy continues to prevail around the globe, in particular in the Global South. 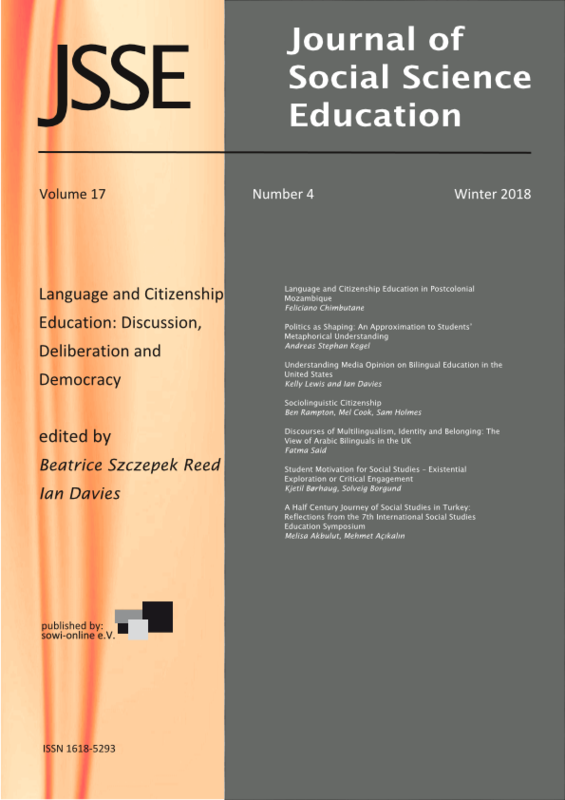 This article explores the interface of language, education and citizenship in Mozambique, with special reference to the role of education and language ideologies in forging the ideal citizen in the postcolonial context. Method: Drawing on previous studies on education and citizenship in colonial and postcolonial contexts, I use the decolonial lenses of Linguistic Citizenship and other related frameworks to show how citi-zenship education in Mozambique has been inextricably bound up with political efforts towards the management of linguistic, cultural and political diversity. I argue that in spite of the progress made, there is still a mismatch between legislation and political discourses on language, education and citizen-ship education and actual practices of citizenship in Mozambique, which continue to be linguistically and politically constrained. Findings: This article may contribute to uncover language related social injustices, often associated with the persisting colonial matrix of power, and also to promote decolonial, more pluralist and inclusive forms of citizenship education in Mozambique and elsewhere.